BioHealth & Life Sciences Innovation is alive and well in Maryland, where medical, academic, governmental and entrepreneurial leadership thrive together. First to map the human genome. First to develop a rapid test for Ebola. First to create an FDA-approved blood test for colon cancer. All in Maryland—and the momentum continues to grow. In fact, the region continues to climb on GEN’s annual ranking of the nation’s top 10 biopharma clusters, and was ranked fourth in 2018. Biopharma and biodefense. Genomics and therapeutics. Diagnostics and medical devices. Neutraceuticals and vaccines. Personalized and regenerative medicine and health IT. Whatever is on the horizon in biohealth and life sciences, Maryland is leading the way. And we're doing it while being more affordable. For instance, rent for life science companies averaged $24.35 per sq. ft. in Maryland, compared to $47.39 inSan Francisco and $49.61 in Boston. Viva White Oak, a 300-acre bio-focused planned community, will offer 7 million sq ft of commercial development.?? Maryland leads the world in adult stem cell production and vaccine research and development. In fact, fully 20 percent of the world’s top influencers in vaccine development are right here in Maryland. And healthcare expertise and an innovative culture have made the state a leader in health IT and medical device development. The state is home to one of the largest life sciences clusters in the nation, with 500+ biotech firms, 2,360 life sciences companies, the NIH, the FDA, Johns Hopkins University, and the University of Maryland. This is no accident. The state government is a key player in a host of initiatives to drive growth in biohealth and life sciences. Such as? The Maryland Life Sciences Advisory Board, created in 2007 to help the state maintain its leadership in the field. Excel Maryland, encouraging startups and accelerating the growth of life sciences businesses. The National Institute for Innovation in Manufacturing Biopharmaceuticals, a nationwide public–private consortium, based in Maryland, whose name says it all. And BioHealth Capital Region, a joint effort with Virginia and Washington, DC, to drive biohealth innovation and entrepreneurship throughout the DC area. Maryland leads the world in adult stem cell production. The renowned K–12 public schools of Maryland lay the groundwork for a highly educated and diverse population. The state’s 57 accredited two- and four-year colleges and universities—many with specialized biotech programs—ensure a savvy biohealth and life sciences workforce. 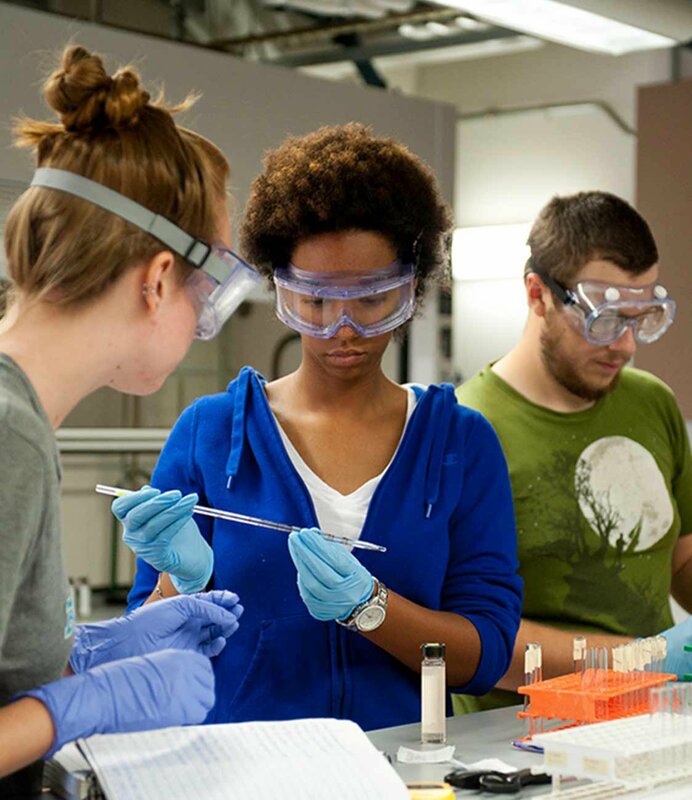 The fact is, Maryland is first among the states in the concentration of employed doctoral scientists and engineers. 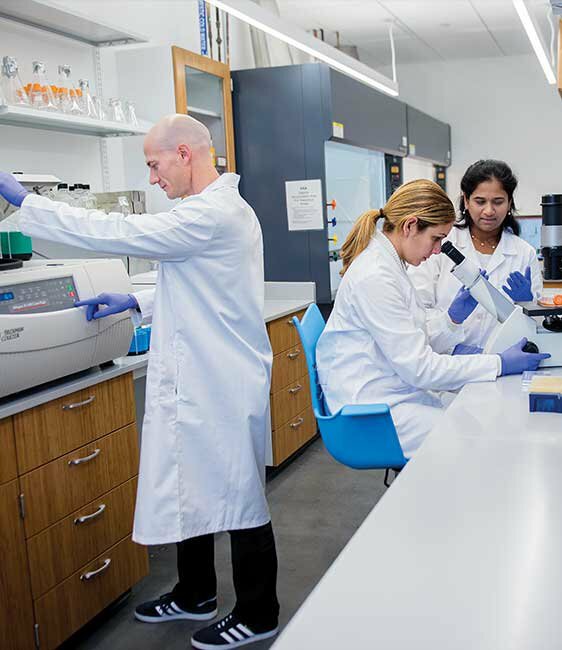 Maryland’s central East Coast location next to the nation’s capital makes it a smart place to be for biohealth and life sciences entrepreneurs and companies. The state is home to dozens of federal agencies responsible for setting standards, approving products for sale, and conducting and funding cutting-edge health research. Let's Talk Business Learn more about what Maryland has to offer your biohealth or life sciences business.